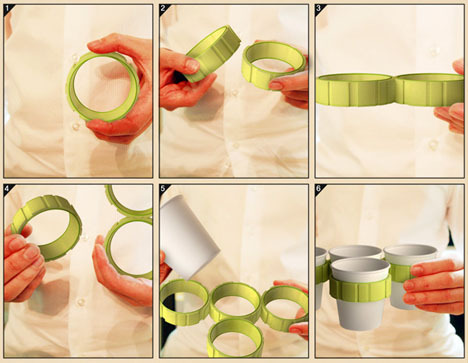 Too hot to handle, most paper coffees-to-go come with rings around them, while cool for-here ceramic mugs are insulted but often awkwardly shaped – neither is ideal if you have to hold more than a few to bring to your friends outside or at the table. 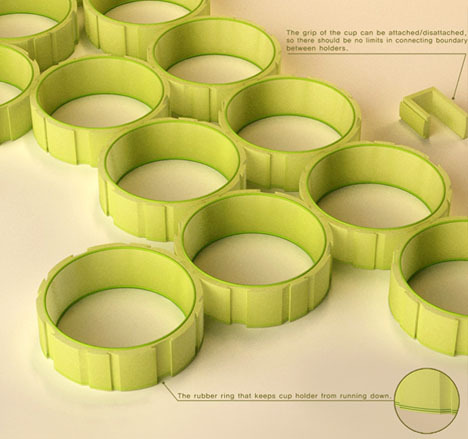 Thus this interlocking series of thermal circles that can help relax your hands rather than trying to balance too many containers of scaling liquid (or lugging around a tray as well as insulating extras). Each slots neatly into the next, forming a group or chain as desired. 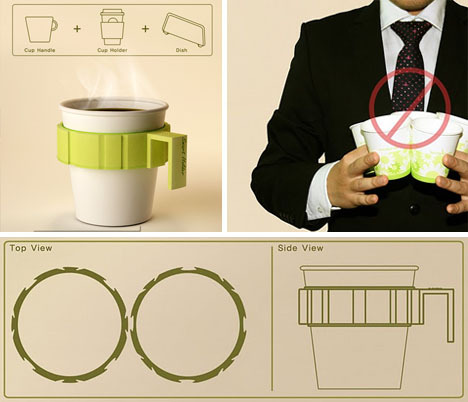 There are nonetheless a few apparent problems with this design – how easily, for instance, can one separate the cups upon arrival? 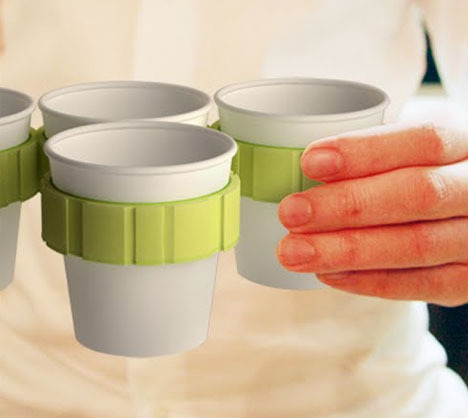 If they are to be used for to-go cups, can they be both strong/durable and green/recyclable? And does the barista hand you something else if you only have one cup to carry or not far to travel?